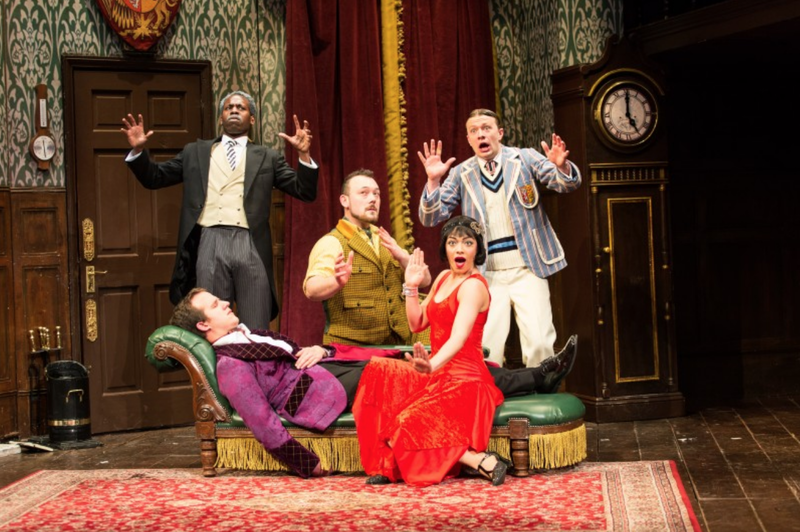 I finally saw The Play That Goes Wrong last weekend and it's wonderfully funny and a technical marvel. I went with my best friend from back home, Alex, who was in town for about 30 hours, as an early birthday present and we were both amazed. The design and the set are definitely the stars of the show. I couldn't be more impressed by Nigel Hook, the set designer, for the way that he built a set that is able to fall apart over the course of the play -- and still somehow pass health and safety regulations. In addition to having some amazing functional aspects, it's just a lovely set to look at as well. Kudos also must be given to director Mark Bell for navigating an impressive cast through the piece. 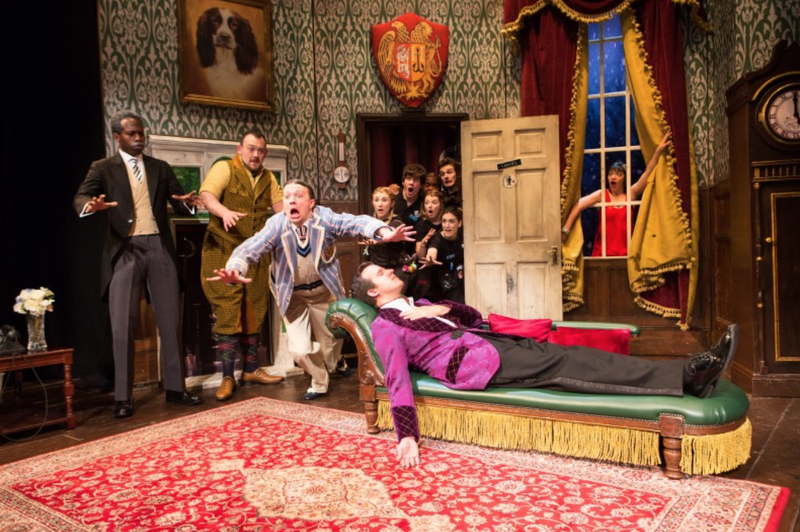 The Play That Goes Wrong is about a theatre group doing a show called The Murder at Haversham Manor, but things don't exactly go as planned. Between injured actors, forgotten lines, set pieces breaking, and a missing dog, their opening night is a bit of a disaster. Each actor plays two roles: their character and the character that they are playing in the play within the play which is quite good fun as you get to see them slip between the two as mistakes occur. I recommend getting to the theatre a bit early as some of the cast members and the 'tech crew' (mostly the understudies and swings, I believe) come out into the theatre and chat with the audience before the show begins. One running gag that I loved was that they're looking for the show's dog, which they've lost. The hijinks continue out in the hallways during the interval: I was handed a flyer for the lost dog on my way to the loo. I also would recommend grabbing a programme for the show, as the first part of it is a fake programme for the show within the show which is very amusing. Katie Bernstein is delightfully funny as Annie, the stage manager who is last minute thrust into an acting role. Edward Howells is similarly charming as Dennis and very good at the physical comedy aspects of the show. I love Patrick Warner's top of show and top of second act speeches as Chris, the head of the theatre company in addition to playing the lead in the show. We also saw understudy James Watterson as Jonathan, I believe, and I would never have guessed that he was the understudy before looking at the programme. My favorite performance though was Graeme Rooney as the tech guy, Trevor, who is absolutely hilarious.